Back in November 2012, Singapore made a buzz when it ranked as the most emotionless society in the world. 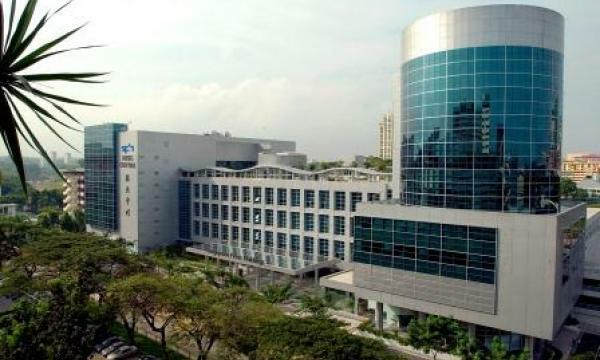 The survey generated mixed reactions from the public noting Singaporeans' longer work hours as one of the possible culprits of the survey's outcome. This time, however, info-communications company StarHub would like to prove that Singaporeans too know how to have fun. In its recent campaign, the company unveiled a series of activities that show the happier side of Singaporeans. Tagged as “Happy Everywhere,” this so-called social movement aimed at encouraging Singaporeans to spread happiness all over the city through little acts of kindness. Mr Oliver Chong, Assistant Vice President of Brand and Marketing Communications of StarHub said, “through discussions with our agency partners and observing the world we live in, we have come to believe that no matter what, there is a lot of happiness going around. We then figured that we can be an ambassador of happiness to show the world the happy side of Singapore." Kicking off the campaign was the launch of a social engagement activity which allowed Singaporeans to share videos, photos or tweets of what happiness means to them at http://happyeverywhere.sg/. To make it all the more exciting, StarHub will be picking out outstanding entries which will then be featured in a commercial. “We will be giving out cash and the latest mobile handsets to reward participants who submit the happiest video, photo or tweet,” said Chong. 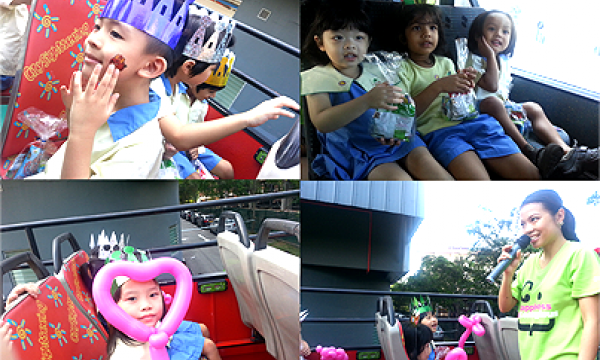 To prove that happiness is indeed contagious, StarHub roamed the streets for a week with its Happy Bus—a bright green open top vehicle bound to give special treats to random people. Some of the surprises include giving away free cups of coffee, organising a mobile carnival for kids, delivering refreshing drinks and snacks to cabbies waiting in the taxi queue at Changi Airport, and giving soccer fans a surprise match with the LionsXII. StarHub capped off the bus’ journey by hosting a dinner for low-income families living in the eastern part of Singapore. StarHub, in collaboration with HOT FM91.3, also joined the celebration of the first-ever International Day of Happiness last March 20. The main highlight of this event was the record-breaking marathon 'live' radio show where two radio deejays broadcasted live for 77 hours and 11 minutes. Asked how the campaign has been received so far, Chong noted that more Singaporeans have been sending their "happy story" entries online. "Support for our campaign has been encouraging and we have received a few hundred video, photo and tweet entries to date," noted Chong. Some of the most interesting stories shared on "Happy Everywhere" include that of a woman who sold her flat to build a shelter for homeless cats and dogs. Another story tells the journey of an NUS girl who seranaded commuters on the bus by playing her ukulele. These and a whole array of stories continue to pour in on the Happy Everywhere site. This campaign will be a year-long social movement aimed to fuel every Singaporean's happy hormones. "We want to continue connecting the people of Singapore with the ones they love and provide solutions to fuel a happy lifestyle. Ultimately, we aim to deliver happiness to as many people as possible, in as many ways as possible," added Chong.